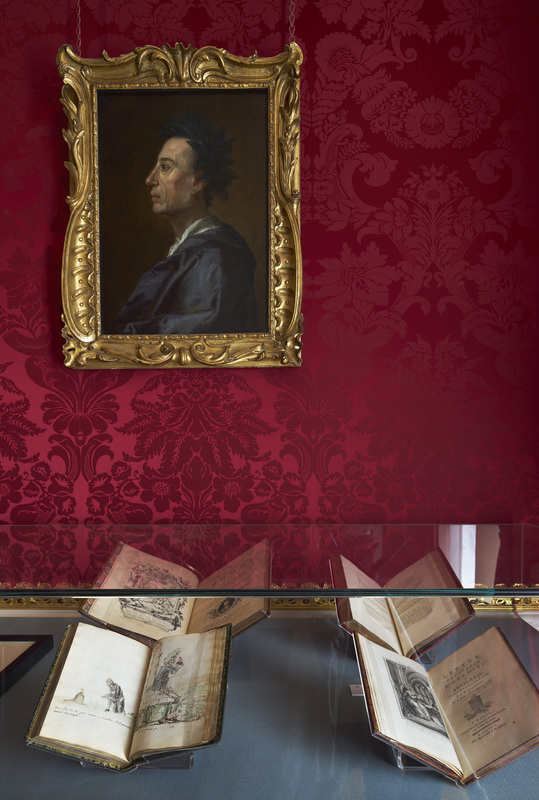 Well this cannot be said about this exhibition which focuses on the poet Alexander Pope (1688-1744) because it is very clearly and elegantly presented. It looks at his work and how he was highly regarded at home and abroad. Physically challenged due to his debilitating illness (Pott’s disease) and by being a Roman Catholic in a Protestant country he still managed to triumph and is placed in the English literary canon between Milton and Wordsworth. 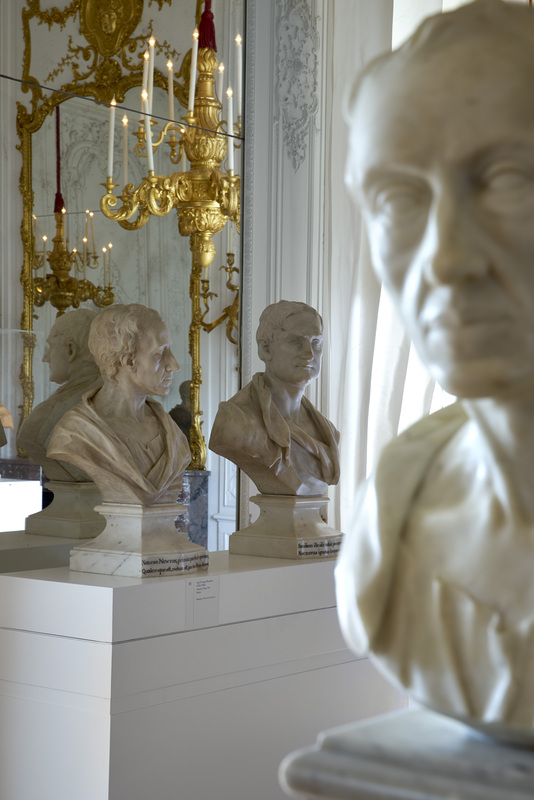 The centrepiece of the exhibition is the eight versions of the same bust by Louis François Roubiliac (1702-1762) who was the leading sculptor of the day. 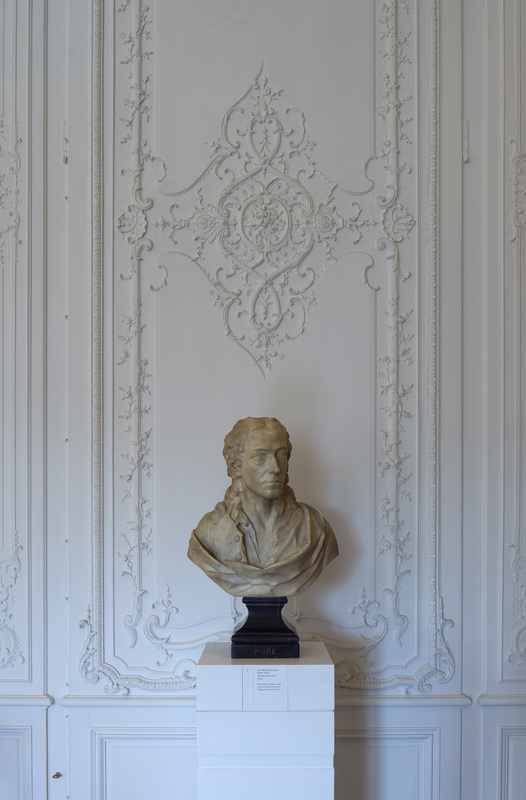 In the 18th century the portrait bust became the way to celebrate famous writers but in fact it was not a new concept as in antiquity writers had been honoured in this way. View of the exhibition Fame and Friendship: Pope, Roubiliac and the Portrait Bust in Eighteenth-Century Britain at Waddesdon Manor, The Rothschild Collection (The National Trust). 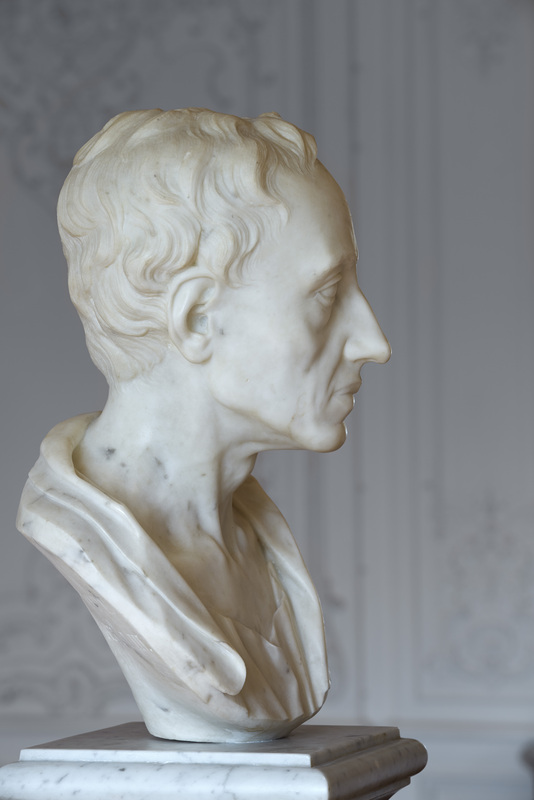 Pope was quite adept in managing his private and public life and image and although these early busts were most likely meant for friends they represent the most well-known image of the writer. This can be seen in the selection of marble, plaster and ceramic period copies which clearly demonstrate the place of replication and repetition in sculptural practice of the time. Among his friends was William Murray (he became the first Lord Mansfield) with whom he shared a common interest in the classics and arts. Murray had a bust of Pope which he later paired with a similarly posed bust of himself by the sculptor Joseph Nollekens at Kenwood House. They were there until 1796 and are now together again for the first time since then. There are other sitters with whom one way or another Pope was associated. For example one bust of him was paired with one of Isaac Newton, and they too are reunited here. 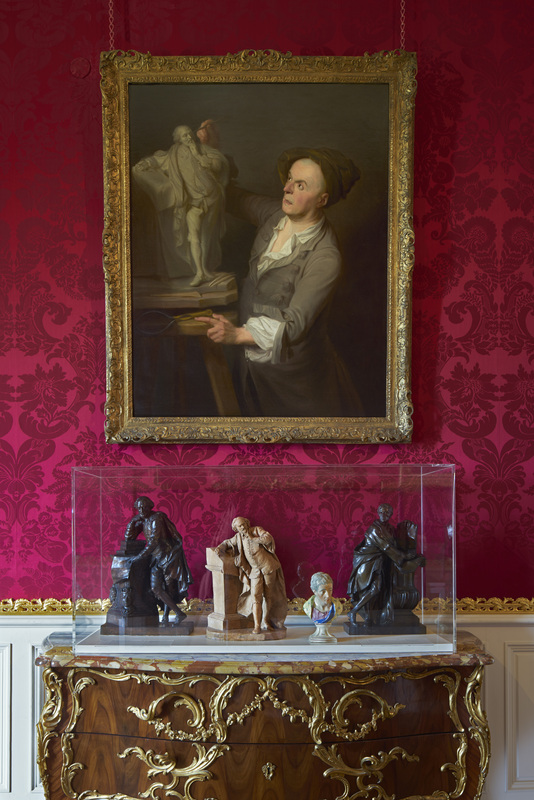 Sculpture was not the only way in which Pope was depicted and there are portraits by artists, including Jonathan Richardson the Elder, Jean-Baptiste van Loo, and Sir Godfrey Kneller, on show. There are also printed texts of his works and the differing typefaces, illustrations and ornamental features show the author’s involvement with his work reflecting that he was an independent writer and not reliant on noble patrons. The exhibition is curated by Professor Malcolm Baker, Distinguished Professor in the Department of History of Art at California University Riverside, USA, an eminent sculpture scholar who I warmly recall from his days at the V&A. The loans come from the Yale Center for British Art, with which this exhibition is a joint collaboration, and from other major collections including the British Museum, the Metropolitan Museum of Art, the Louvre, National Portrait Gallery, British Library as well works from Waddesdon. This entry was posted in British Paintings, Ceramics, Decorative Arts, Drawings, Fine Art, French 18th Century Art, Interior Decoration, Portraits, Sculpture, Visual Arts, Works of Art and tagged Alexander Pope, Decorative Arts, Fine art, Interior Design, Louis François Roubiliac, Sculpture, Visual Arts, Waddesdon Manor. 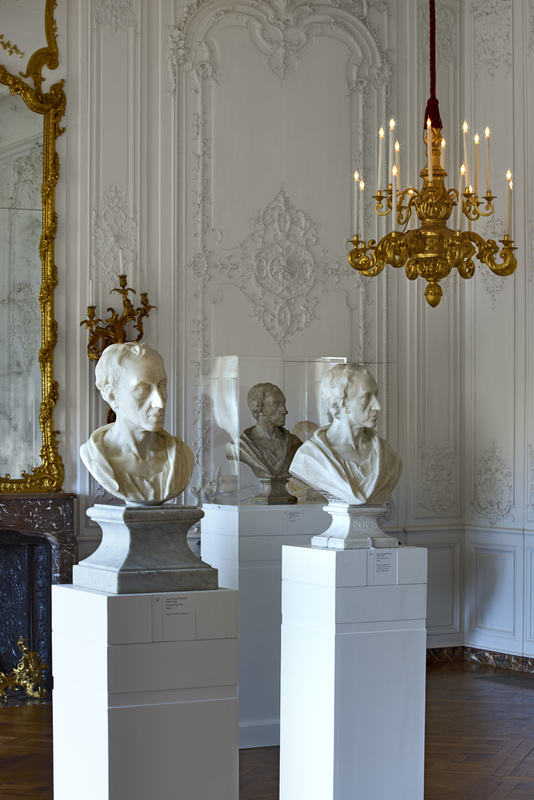 Thanks for drawing my attention to this survey of bronzed statuettes, busts and plaster figures.